When you’ve been in business for as long as we have you learn a lot about being able to deliver projects on time and within budget, whilst still meeting the expectations of the client. We have a proven track record of delivering projects on time and are proud of our staff who play such a huge part in this. 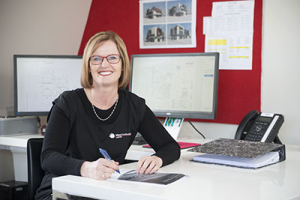 Many of our personnel have been with us for close to 10 years and we are one of the largest employers of carpenters in the Manawatu. Over the life of the company we have completed close to 1000 projects in the Manawatu and lower North Island – from work at Massey University to recently completed seismic strengthening projects in the CBD and Feilding. We have been associated with many iconic projects such as the new school in Waiouru to the Ezibuy international call centre. It is our mission to exceed expectations and manage budgets and timelines with expertise and experience. 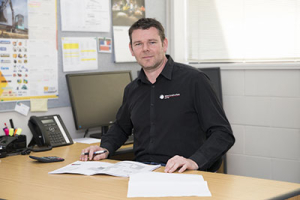 Cameron is the Commercial Manager and he oversees all commercial projects, along with his team of quantity surveyors, project managers, administration and finance staff. Since the early 1980s we have carried out Ministry of Education work and as such we are very experienced in this field of work. From toilet block upgrades to building an entire new school and everything in between – there aren’t many aspects of education work we haven’t been involved with. A relatively new field of specialist construction – we have been fortunate to have been involved in several major contracts and to date have completed 2 of the largest seismic projects within the Manawatu region. We believe it is a privilege to build clients new homes and we pride ourselves on exceeding home owner’s expectations while building their dream home. We are Registered Master Builders and Future Proof Builders who are committed to building to the highest industry standards at all times. Tarsha and Carmen lead our residential team of project managers, sales staff, and designers to assist you every step of the way. Our many Registered Master Builders House of the Year Awards confirm that we are leaders in the industry. In 2013 we started a separate company to carry out all our site works, excavation, scaffolding and edge protection. This enables us to keep costs down for clients and ensure constant availability to keep to tight time schedules.